This is my very last post of my fresh peaches series. Well……maybe my second to last. 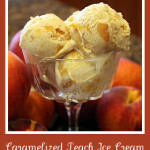 I just came up with one more idea, and I still have some peaches sitting on the counter, so I’ll likely sneak the recipe in as a bonus-peach-post over the next few days. And THEN, that’s it! I’m finished-fini!-finito!-with the peaches. At least for a little while, that is. What will the folks at Trader Joe’s do without me buying two flats every week? Luckily (for them, not for you and me), the much-too-short peach season will be over soon, so I imagine they will be able to hang on without my purchases until then. I hate to waste a blog post discussing the weather, but the weather has been such a hot (and I mean that literally) topic cross-country lately, that I think I will make a brief exception. Even in Las Vegas, where heat is both a given and something that we locals are used to, the past few days have become unbearable due to multiple massive thunderstorms and resulting humidity, something that we locals are not used to. Most Las Vegans know that when it rains, it’s a smart move to just stay home–the driving here becomes atrocious. I mean seriously atrocious. The humidity in conjunction with our standard heat? Also a reason to stay home, air-conditioner on full blast, ideally moving as little as possible. Let’s see: Day spent at home + bowl full of ripe peaches + dreams about something cool and refreshing = peach recipe inspired by a tropical cocktail. 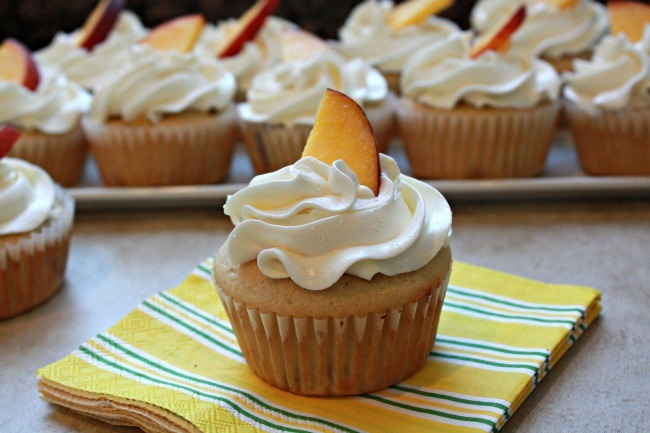 Enter my latest creation, the Peach-a Colada Cupcake. 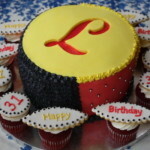 C’mon, you knew that I had to throw a cupcake into the mix at some point, didn’t you? 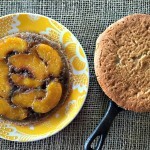 It’s a good thing that I had so many extra peaches (and extra time at home! 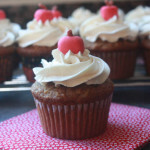 ), because I actually had to tweak the cupcake portion of this recipe a few times before it was just right for all of you. The first batch was just a little bit meh, and the second batch was better but the third one definitely qualified for peach-a colada perfection. Until my next post, stay cool, stay inside, and bake some cupcakes! 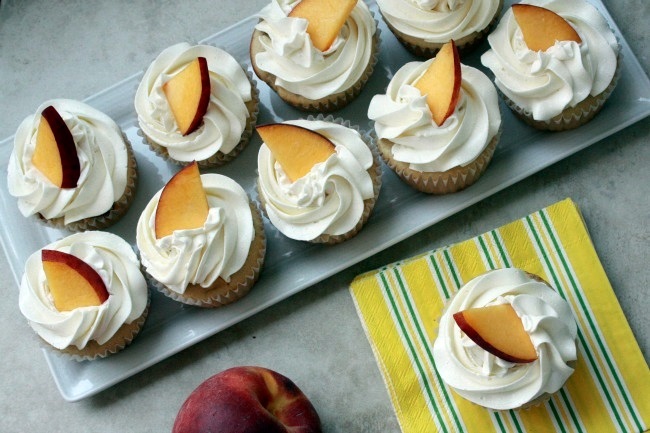 This sweet and summery cupcake recipe was inspired by both an ample supply of fresh ripe peaches and a refreshing colada cocktail, perfect for beating this July heat. Studded with juicy peaches, the fluffy cupcakes are topped with an addictive coconut-rum buttercream, certain to become one of your favorites! Preheat the oven to 350F/180C. Line two 12-cup cupcake tins with paper liners. In the bowl of an electric mixer fitted with the paddle attachment, beat the butter with both sugars on medium speed until light and fluffy, 3 minutes. Add the eggs, one at a time, beating well after each addition and stopping to scrape down the sides of the bowl as necessary. Add one-third of the flour mixer to the batter, mixing to combine, followed by the milk, another third of the flour mixture, the sour cream and the final third of the flour mixture. 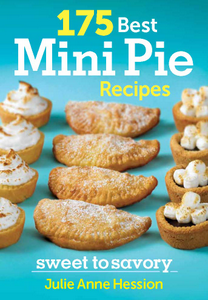 Mix in the vanilla and rum until all ingredients are fully incorporated and the batter is smooth. Fold in the peaches. Divide the batter among the prepared cupcake tins, filling each cup about 2/3 full. Bake cupcakes in the center of the oven until tops are puffed and spring back when lightly touched, 18-20 minutes. Cool cupcakes in the pans for 10 minutes, then transfer them to wire racks to cool completely. While cupcakes cool, prepare the buttercream. In the metal or glass bowl of an electric mixer, combine the egg whites, sugar and salt. Attach the bowl to the electric mixer and fit the mixer with the whisk attachment. Beat the warm egg white mixture at high speed until the bowl has cooled and the mixture is thick, firm and glossy, about 8 minutes. Reduce the speed of the mixer to medium-high and beat in the butter, 1 piece at a time, fully incorporating each piece before adding another. Beat in the cream of coconut, coconut extract and rum, and continue to beat for 1-2 minutes, until the ingredients are well combined and the buttercream is smooth. If you plan to pipe the buttercream onto the cupcakes, transfer the buttercream to a piping bag fitted with your tip of choice (I chose a large open star tip.) Pipe the buttercream decoratively onto the cupcakes. 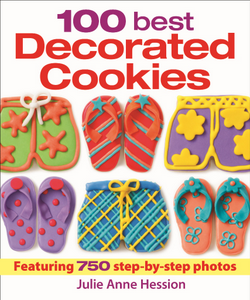 Otherwise, swirl the buttercream onto the cupcakes with an offset spatula or a knife. 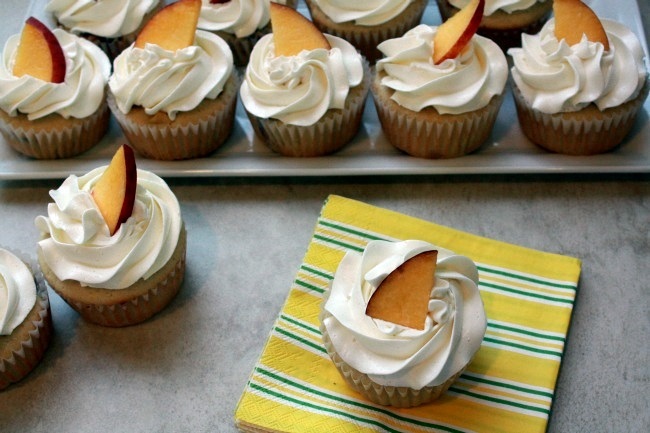 Top each cupcake with a fresh peach slice for garnish. Serve immediately! If you don't want to use rum for either the cupcakes or the buttercream, you can either use a bit of rum extract or omit it altogether. Once prepared, the buttercream can be covered and chilled for up to 5 days. Let it sit at room temperature to soften before piping. Your cupcakes sound amazing! What a nice spin on the colada! I am loving peach season! Crazy weather everywhere. I was in Vegas in June and at 2am it was 99 degrees, crazy hot, now I’ll be going back in August and I can only imagine it being even hotter. I just can’t get over the humidity your having. Here in N. California, I live in the dessert suburb and we have had humidity too and a few rain showers which is unheard of. Thank you, Jennifer! I’m loving it too (clearly!) I know–the summers here can be brutal, especially if you are not used to it. Yes, be prepared for even more heat in August, unless you happen to get lucky. I hope that you do. I will thankfully be in Wyoming for much of August, escaping the heat! Thanks, Shanna! I figured that these would be your kind of dessert!! Let’s hope this muggy weather finishes soon–I am over it!